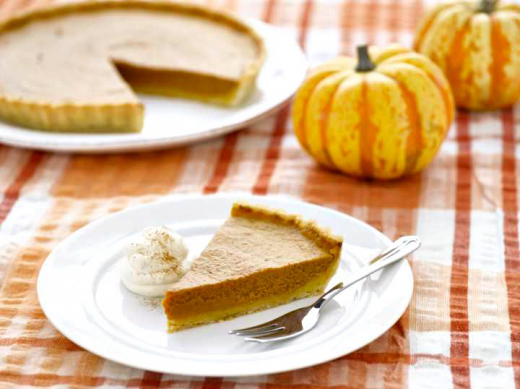 Autumn means pumpkins and if there is one dessert that all my family anticipate then that is Pumpkin Pie! We’ve made it using fresh pumpkins, and I even created mini pie-lets. But that doesn’t mean we have one favourite recipe and we’re always looking for new variations. Rachel’s Organics sent me over their new Pumpkin Pie recipe and we’ll be trying it out this weekend in time for Halloween! 1. Pre-heat the oven to 180°C/350°F/Gas Mark 4. Roll out the pastry on to a floured surface, and line a 22cm fluted loose bottom tart tin with the pastry. 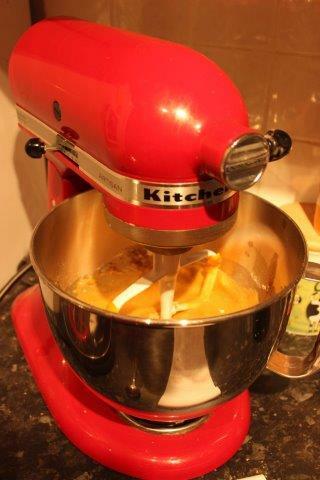 Once lined with pastry, place in the fridge for 10 minutes to relax (this will stop the pastry from shrinking). 2. Remove the pastry case from the fridge and line with a sheet of parchment paper and baking beans. Bake the pastry for 15-20 minutes, then remove the paper and beans and cook for a further 5 minutes. Remove from the oven and leave to cool. 3. In a bowl combine the pumpkin puree, caster sugar and spices, then beat in the eggs, melted butter and yogurt. 4. Pour the mixture in to the tart shell and cook for 35-40 minutes until the filling has just set and has a slight wobble. 5. Leave to cool then remove the pie from the tin. 6. To serve top with swirls of apple & cinnamon yogurt and a sprinkle of ground cinnamon. Serve chilled. 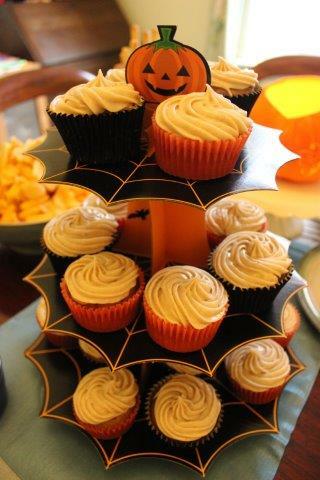 You may have guessed by now that I’m a big fan of Pumpkins! Whether you put them in pies, soups or even cakes pumpkin is a seriously versatile vegetable that is entirely underused in the UK. 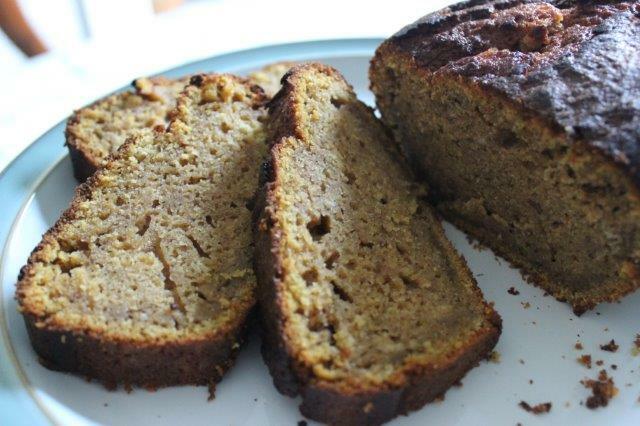 Today I’m sharing my yummy recipe for Pumpkin Spiced Tea Bread. You may recall it featuring in our Halloween celebrations and it’s still a firm favourite. Tip. I’m starting this recipe with a tip because it’s annoyingly hard to find Pumpkins in UK supermarkets past October. If you can’t find any then don’t despair, Butternut Squash makes a fabulous substitute! Begin by making your Pumpkin puree. There are two ways to do this, the first option is to roast the Pumpkin, see my full instructions on this post. You can also remove all the flesh from the inside using carving tools or even an ice cream scoop and then boil in water until soft. Puree using a blender and then strain through a sieve lined with kitchen paper for several hours. You should have more than enough puree to make this recipe at least twice. In a large mixing bowl combine all the ingredients and mix until just combined. Preheat your oven to 180C/ 350F/ Gas Mark 4 and bake for 50-55 minutes until golden and cooked through. Leave to cool and serve in cut slices. It tastes very good with a little butter spread across the surface.